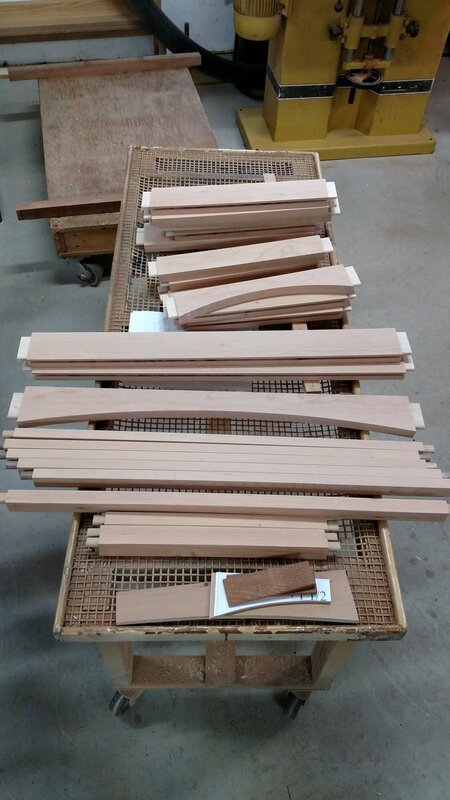 This blog article was originally published on June 27th, 2017 by furniture maker and Guild member John Lomas on the John Lomas Custom Furniture blog. Click here to find the original article. Shaker styling easily compliments any setting, whether classic or contemporary. There are no bells and whistles, and no grand gestures or flourishes, yet a beautiful Shaker piece will stand the test of time. Why? Simply because the design allows the wood to speak for itself. 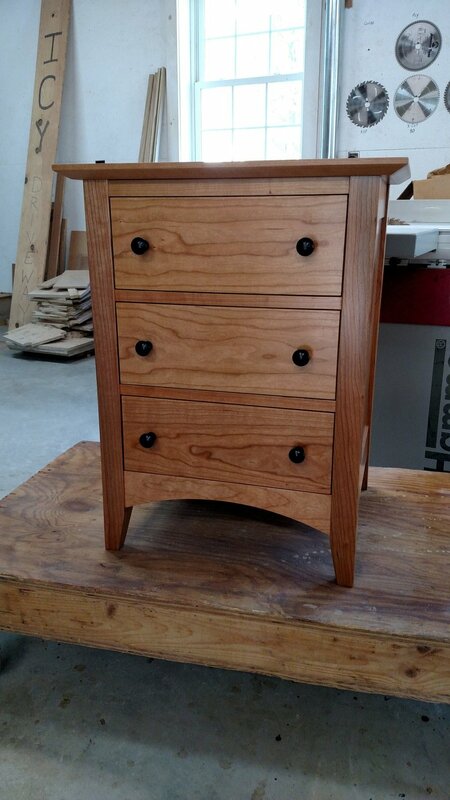 I’ve just had the pleasure of making a Shaker 7-drawer and a 3-drawer chest for my client and it has brought back a genuine appreciation for the simple lines of the style. Adding the ebonized walnut pulls gives the time-tested designs a slight lift. Simplicity, honesty and utility were the watchwords applied to the design and craft of the Shakers’ handmade furniture. This Vermont furniture maker has done his best to emulate those qualities. 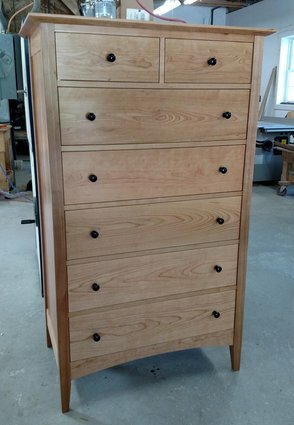 3 Drawer Chest. Cherry with ebonized pulls. 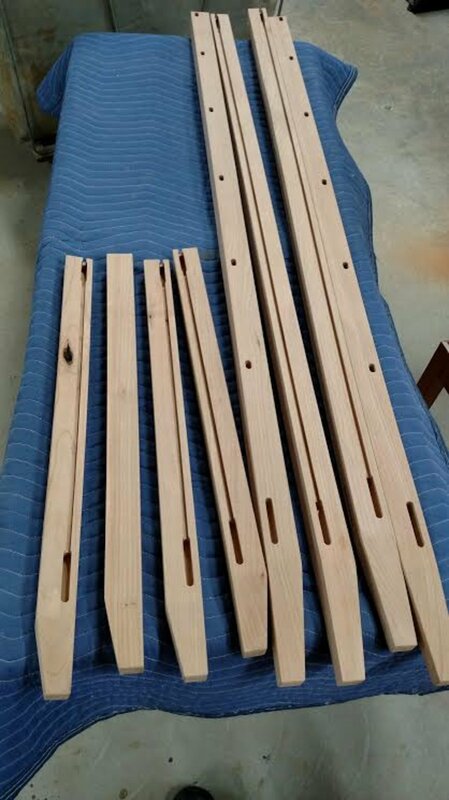 Legs showing mortices and panel grooves.